You may not have expected the world’s oldest stone temple complex to have been discovered in Turkey. 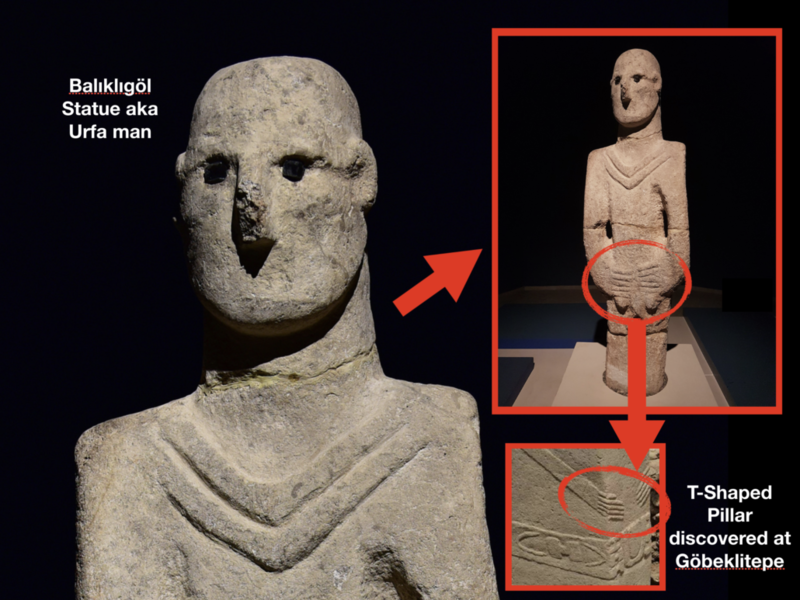 If the nearly 12,000 year old Göbeklitepe isn’t already shocking enough, it may surpise you to know that a 13,500-year-old statue, again, the world’s oldest, was discovered during an excavation in Balıklıgöl, Turkey. 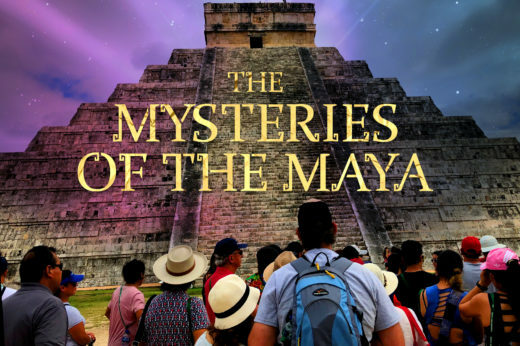 These and other astonishing archeological finds have not only delivered a tumultuous shock to the foundation of our historical understanding but have left scholars who believe that civilization began in Egypt in Mesopotamia roughly 5,000 years ago, beyond perplexed. Turkey is quickly becoming a treasure trove for culture and history enthusists. And it’s changing the history books. Could Turkey Be Our Zero Point of Civilization? If we are to ask assistant Professor A. Cihat Kürkçüoglu of Harran University the answer would be a resounding – Yes! He is convinced that the history of civilization began in the Turkey, specifically Urfa (a city just 45 kilometers from Harran). The Adept Expeditions team and I had decided to fly into SanliUrfa for a private research trip. We had just finished leading an open-to-public tour group in Egypt and heading back home to the States, but the Turkish Airlines flight from Cairo to Instanbul was late uppon arrival causing us to miss our flight from Instanbul to California so the airlines put us up in a hotel for the night. Given that the world’s oldest stone temple complex was only a two hours flight away, It was a no brainer to extend our layover in Turkey. 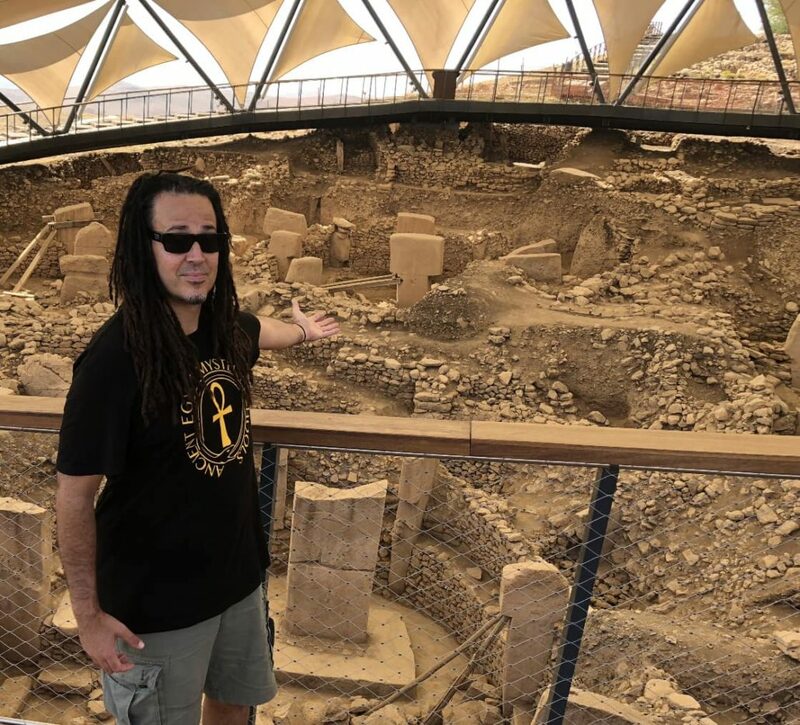 After an on-site investigation of Gobekli Tepe, we then decided to further penetrate Turkey’s sacred landscape by exploring more of the country’s ancient ruins. 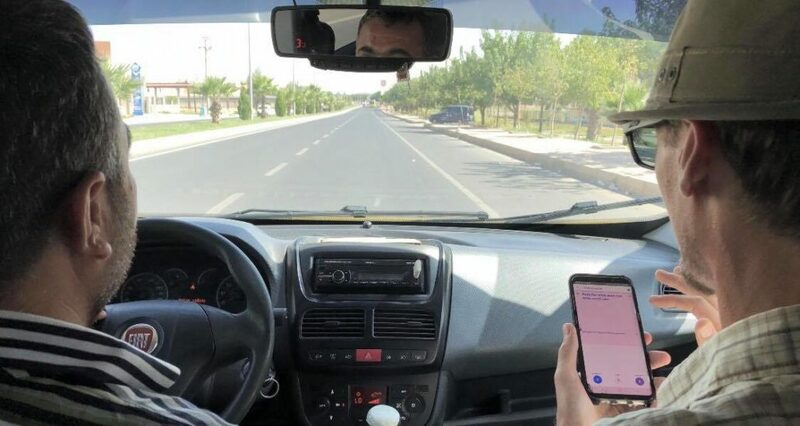 Thanks to the modern technology of the Google translate app, we were able to establish a modality of communication with our Kurdish taxi driver who didn’t speak a lick of English. Understandably so. 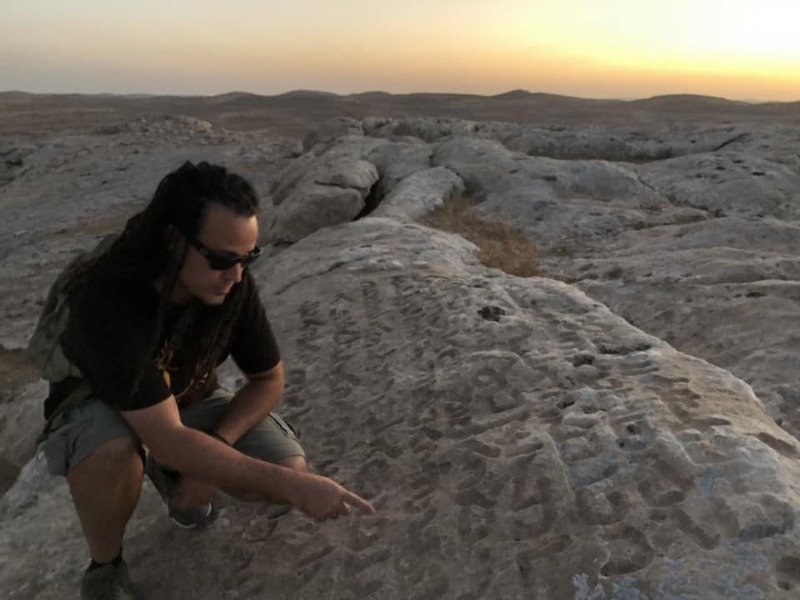 We continued traveling along the rocky route leading from Nineveh to Carchemish in search of the ancient city of Harran, making several stops at some of the other ancient ruins of Turkey along the way. 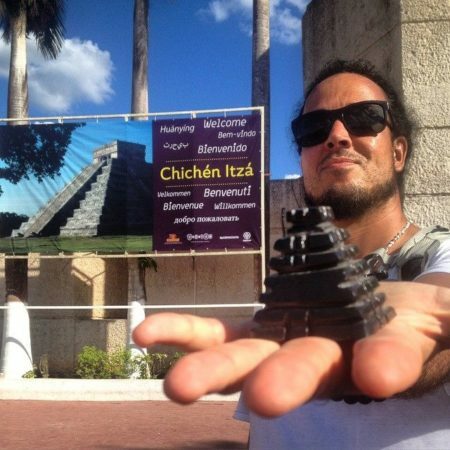 The tax driver was instrumental in helping us find more of what we wanted to see – ancient ruins! Situated on the border between Turkey and Syria, is a village that may appear nondescript at first glance, but it’s rich historic past can be re-imagined through exploring it’s ancient ruins. Harran is virtually a forgotten city in the geography of Anatolia, yet the Bible gives it mention on several occasions. We are informed that Abraham stayed in Harran after leaving Ur, which some researchers and scholars claim was actually Urfa. 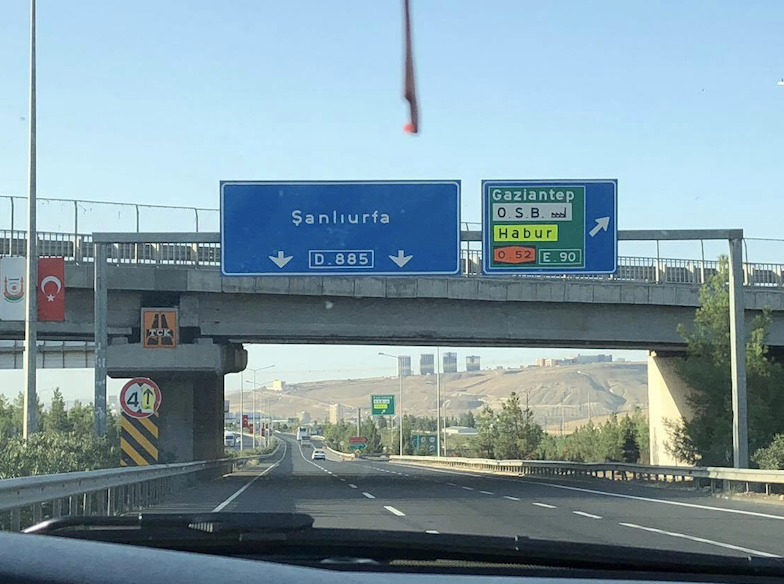 The Sanliurfa airport is just under a two hour flight from Instabul, and Urfa is where we stayed while exploring Gobekli Tepe and Haran. We find that the earliest mention of Harran can be traced back to the Ebla tablets, discovered by Italian archaeologist Paolo Matthiae and his team during their excavations at the ancient city at Tell Mardikh. The Ebla tablets help date the ancient city to approximately 3,000 BC, when an Eblaite princess became the Queen of Harran. The name of Harran originally came from ancient Akkadian Harrānu, meaning “crossroad”, which lends to the cities role as an important strategic center. 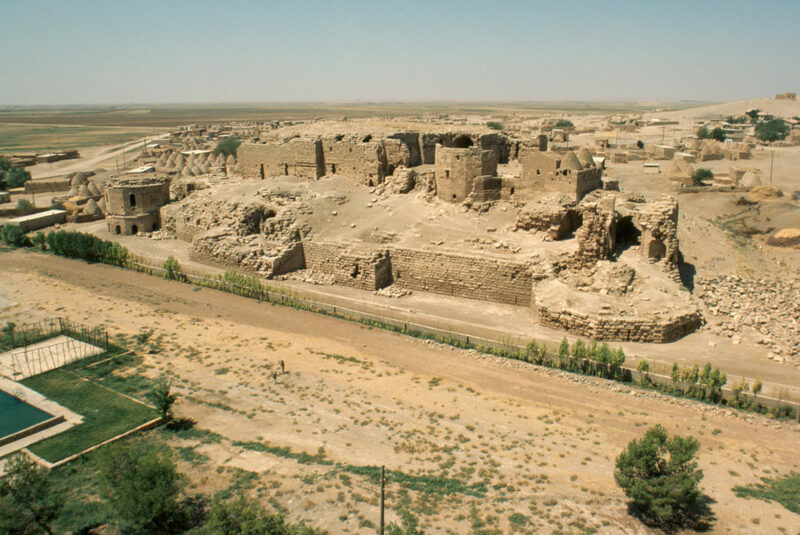 According to tradition, Harran was first founded by Nimrod, the legendary hero who was credited by Biblical scholars for building the tower of Babel. Why is Harran so important for esotericists to explore? 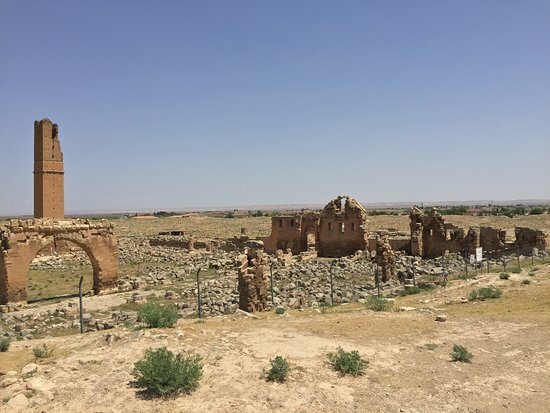 Harran was not only built over an area where the world’s first cities with the first temples were erected, and where agriculture was first started, but it’s home to perhaps the oldest university in the world. 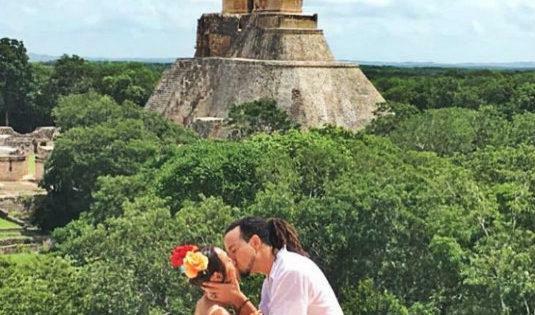 Further, it was inhabited by the famed Sabbeans, students of the stars, who I referenced during my narration in The Sacred History of the Rosicrucians. 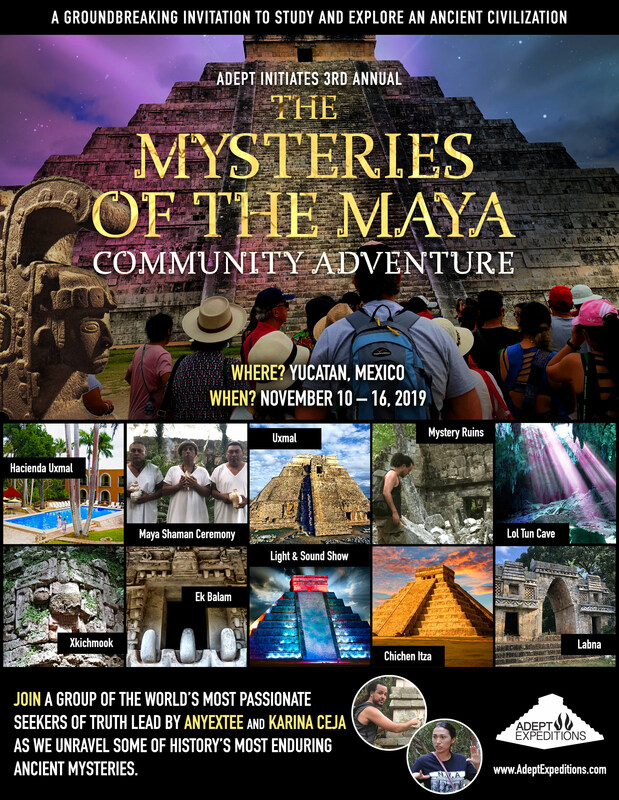 After the destruction of the library of Alexandria in Egypt, when the academic schools of philosophy were closed down, and the initiates of the ancient Egypt mystery schools were forced back into the underground, many truth seekers sought refuge in Harran, which became the last pagan enclave to preserve the old teachings and books. 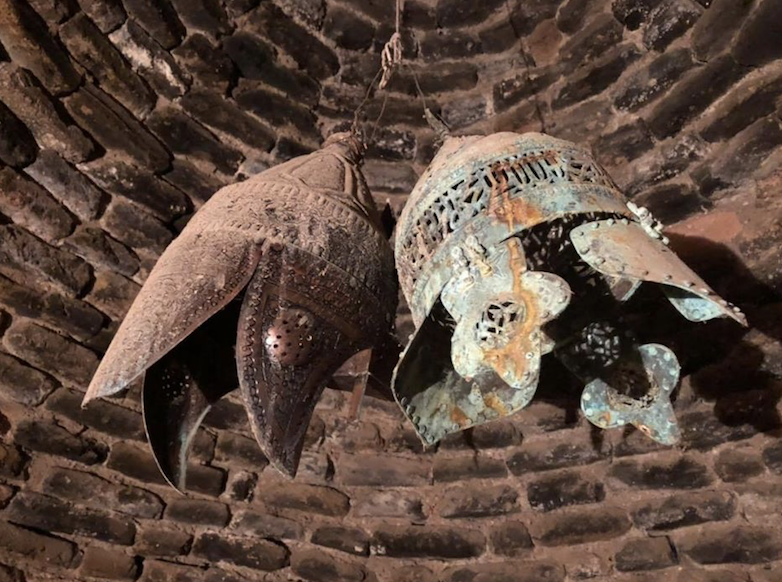 It was the Sabians of Harran who brought light during this dark period by facilitating the translation of ancient texts into Arabic for the Islamic scholars. The name Sabians losely translates to “the people of the stars”. The etomology of the world is likely derived from the Coptic word Saba’ia. The Sabian star people were influenced by Judaism, esoteric Christianity and Islam but they valued the Corpus Hermeticum of Hermes Trismegistus as their holy book. 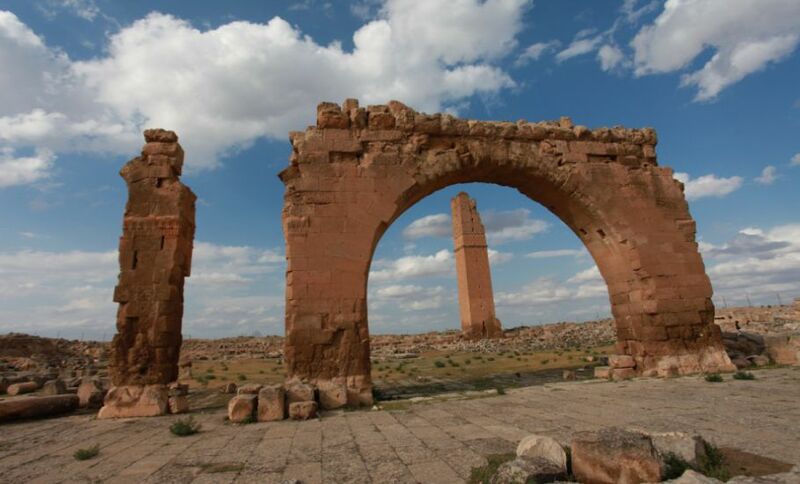 The city of Harran bears a striking resemblance to Adocentyn, an ideal Hermetic city that was circular in shape and had a large temple in its center surmounted by a high tower. 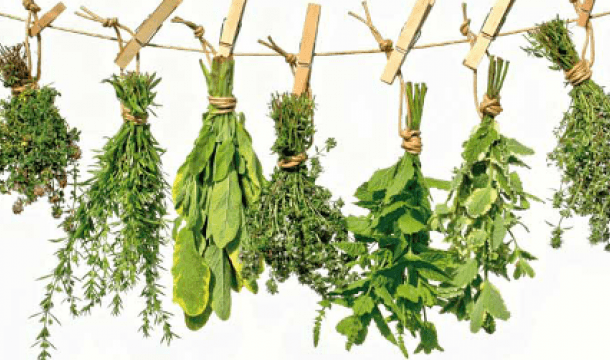 It also had seven gates consecrated to the Sun, Moon, Mercury, Venus Mars, Jupiter and Saturn and were all in accordance with the principles of talismanic magic as outlined in the Picatrix. Harran was not only aligned to a Hermetic ground plan but it served as a repository for the Hermetic tradition bridging the gap between the ancient Egypt and the western world. In Hermetic circles it is known that by beholding the Cosmos it is possible to know the divine: the universe is thus often presented as a sheet of music which must be read or deciphered. A very representative Hermetic saying is: ‘God is an immortal man, man is a mortal god’. In 943 A.D. the Arabic historian Mas’udi informed us that the esoteric adage “Know yourself, and you will become God” was carved into the main entrance door to the largest temple of Harran. 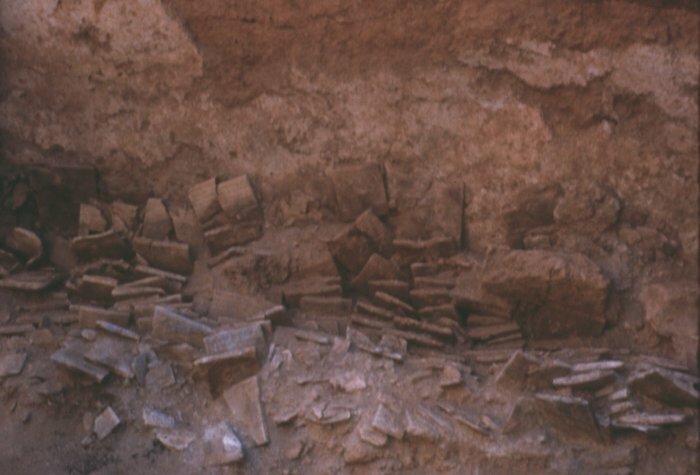 The Sabians drew from a culmination of resources in the ancient world. 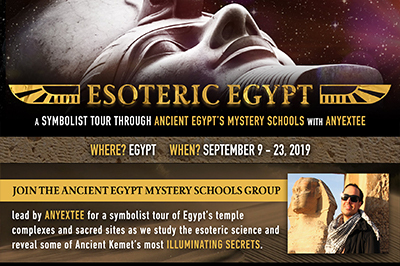 They had their roots in Chaldea, learned from the schools of the Magi of ancient Persia, and set out on annual pilgrimages to the Giza because they believed the great pyramid was the tomb of Hermes Trismegistus. During their travels the obtained and secured priceless Greek scrolls, scientific and alchemical works which otherwise may have been lost. 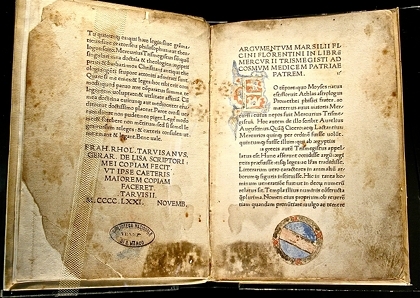 Eventually these manuscripts made way into Europe influencing the Renaissance, along with other esoteric works that were previously unavailable and obscured by private libraries of the high clergy, reserved only for select members of the monastery. 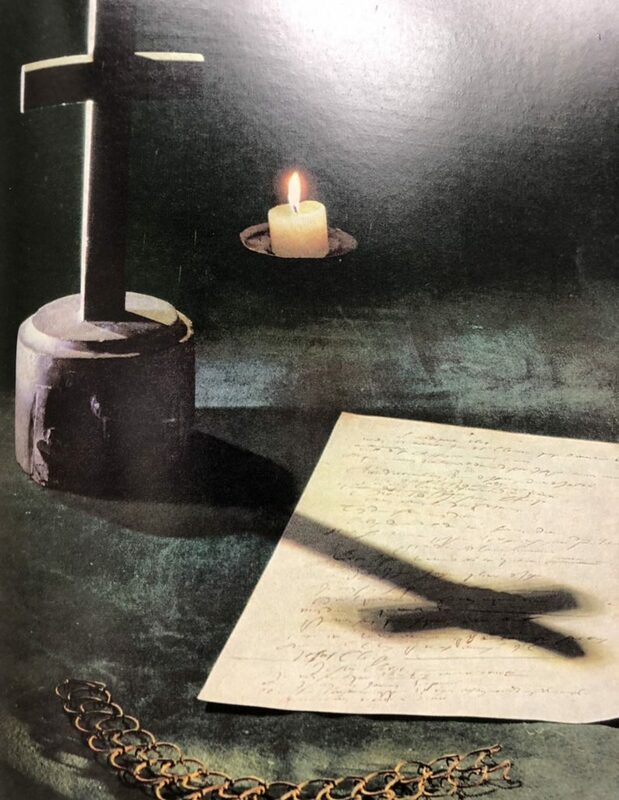 It is worth mentioning that the Rosicrucian movement claims the mysteries of Damkar, thought to be a Sabian center of learning, as a source of the tradition’s knowledge. This is expressed through the allegory of the order’s legendary founder, Christian Rosenkreuz, who traveled extensively. 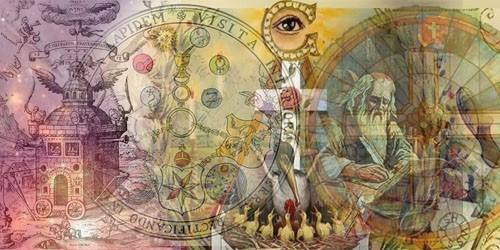 Underground movements such as the Rosicrucians fought for the reformation of state institutions, religion and science. 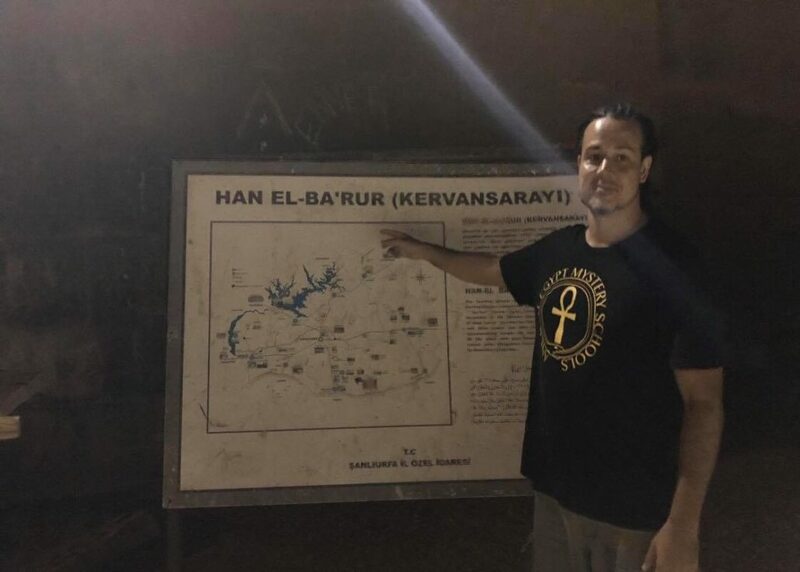 Some of the world’s most popular Western esoteric organizations may find their roots here, so it’s interesting for us to explore Harran as part of our Adept Expeditions. 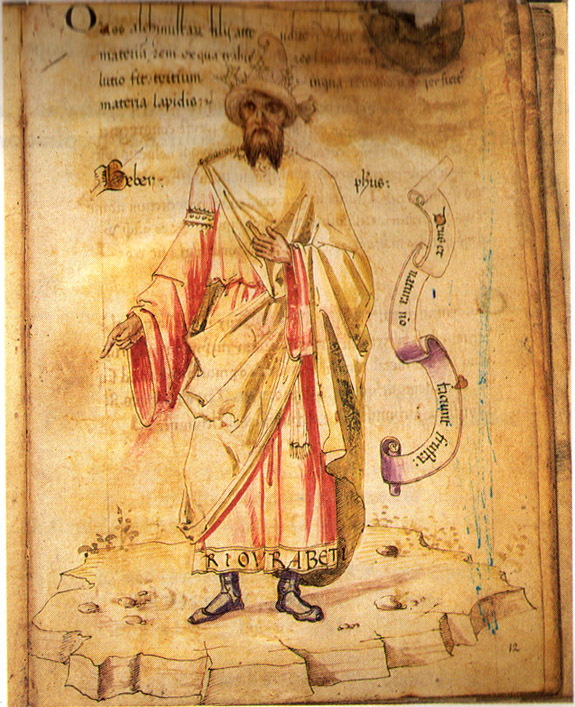 A significant number of philosophers, scientists, and alchemists rose to prominence in the Harran school such as the first practical alchemist and possibly the most influential alchemist of all time, Jabir ibn Hayyan and the influential astronomer, astrologer, and mathematician, Al-Battanai, who calculated the distance from the Earth to the Moon. Al-Battanai was a immense inspiration for many medieval Europeans astronomers and occultists. For example, Copernicus is credited with formulating a model of the universe that placed the Sun rather than the Earth at the center of the universe, and his publication, De revolutionibus orbium coelestium (On the Revolutions of the Celestial Spheres), just before his death in 1543, was a major event in the history of science, triggering the Corpernican Revolution and making an important contribution to the Scientific Revolution however, he frequently cited Al-Battanai, a prominent student of the Harran school. In the historical records dating back to 830-820 A.D. we can find the people of Harran distinguishing themselves as “Harranians”. 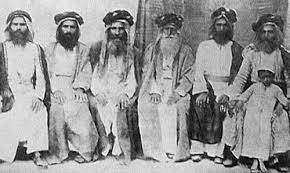 They were later consulted and advised to call themselves “Sabians” in order to avoid blood shed at the hands of Caliph al-Ma’mum’s Umayyad Empire. The original Sabians might have actually referred the Mandaians of Iraq who followed the tradition of the Essenes and were followers of John the Baptist, but under the moniker of Sabians they Harranite people would be attributed to the “people of the book” mentioned in the Quran and permitted to continue their pagan faith undisturbed until in 1251, when Harran was eventually destroyed by a Mongol invasion. Aside from the ruins of the Harran University, we also find the remnants of a nearby castle constructed during the Byzantine period. 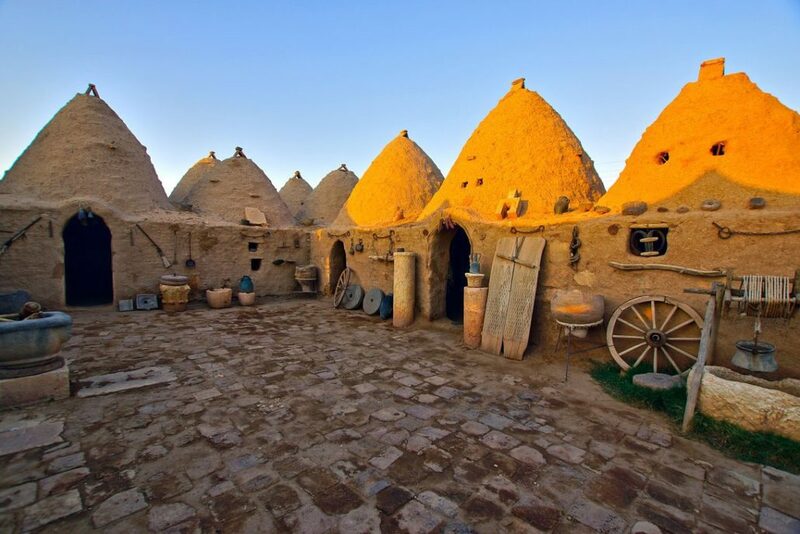 However, what really stands out in the village are the clusters of the primitive Beehive houses of Harran: Turkey’s ancient adobes.